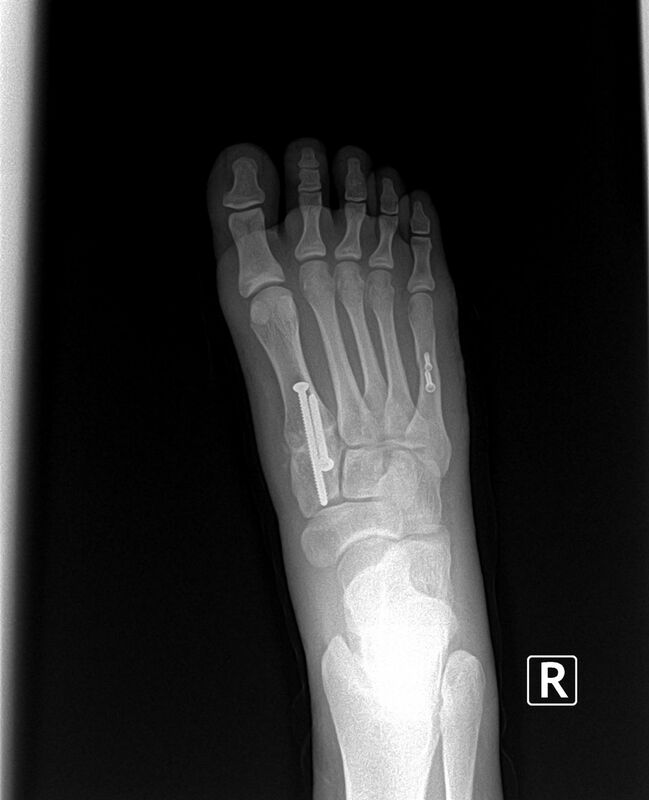 The patient had a bunionectomy and tailor's bunion surgery corrected at our certified surgery center. The patient was able to avoid the hassle and expense of a hospital, but with all the same comforts. The patient required only intravenous sedation and was walking within one week after surgery. The postoperative x rays can be appreciated below. 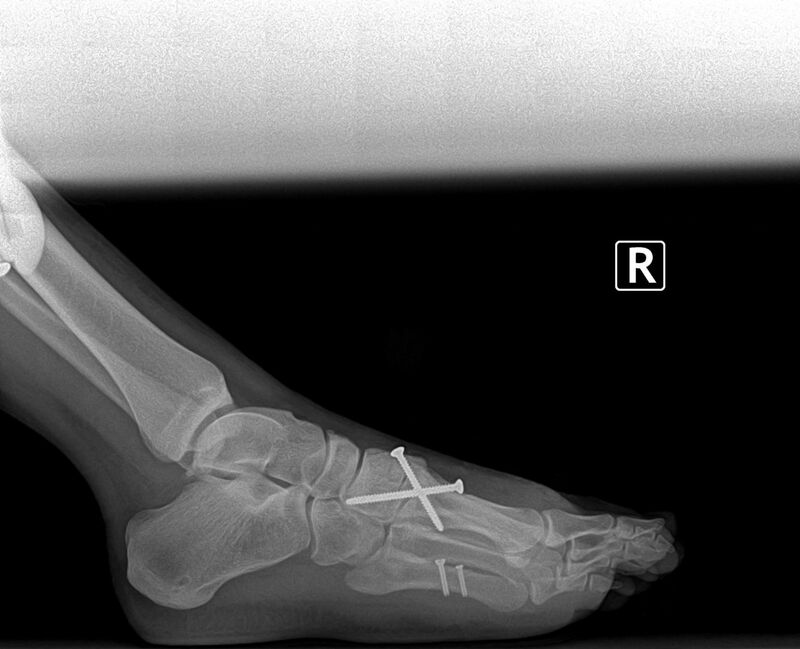 The dramatic reduction of forefoot width can be appreciated on the x ray.